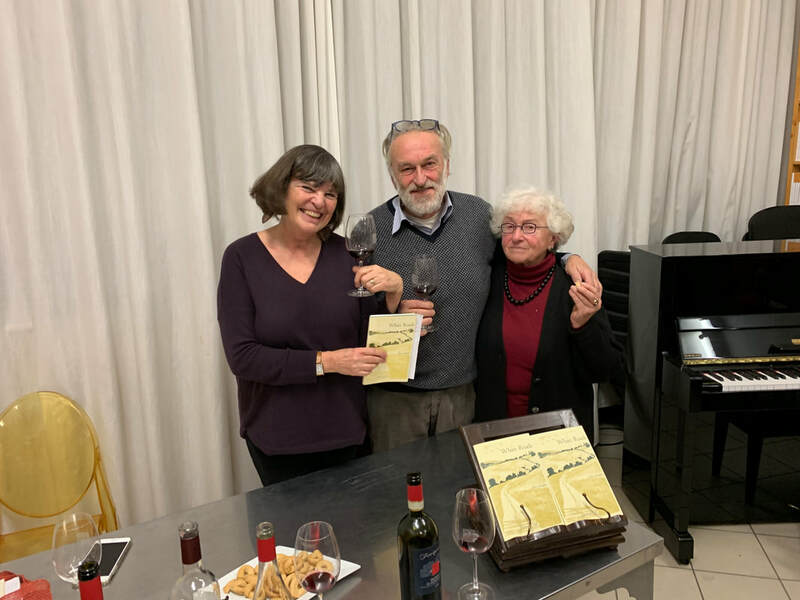 One more 'White Roads' post - I can't resist adding a link to Eleanor Shannon's very kind review of our poetry reading and wine tasting in Siena, on her blog, Uncorked in Italy. I've never read such a sensitive poetry review from a wine expert! Thanks, Eleanor, you helped to make it an unforgettable evening! 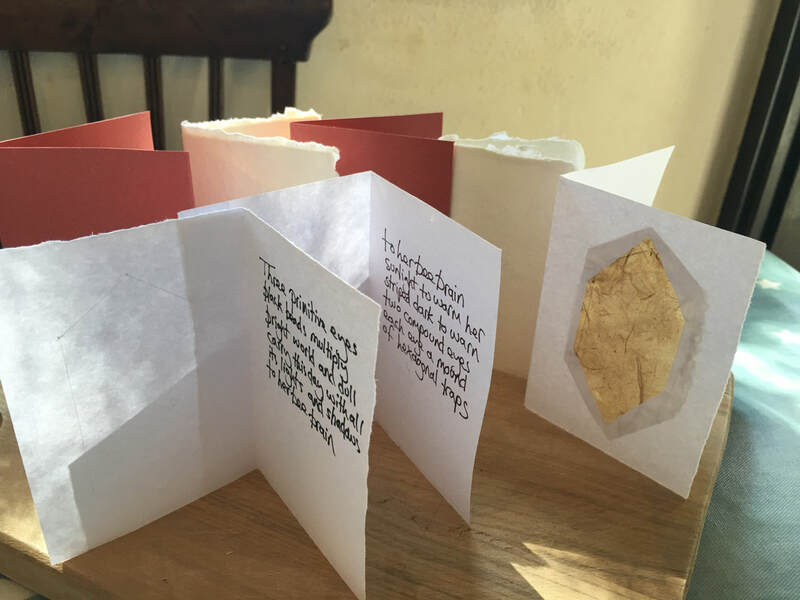 I've been hard at work lately, making a box full of poem cards for Fifty Bees, an exhibition that links art, poetry and ecology, thanks to fifty different kinds of bee which can all be found in the UK. 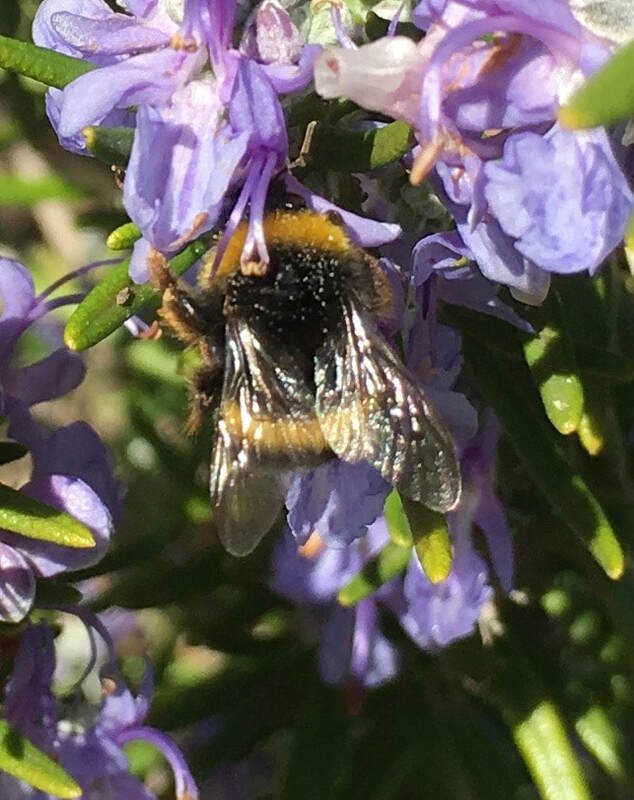 'My' bee is Bombus Hypnorum, the Tree Bumblebee. 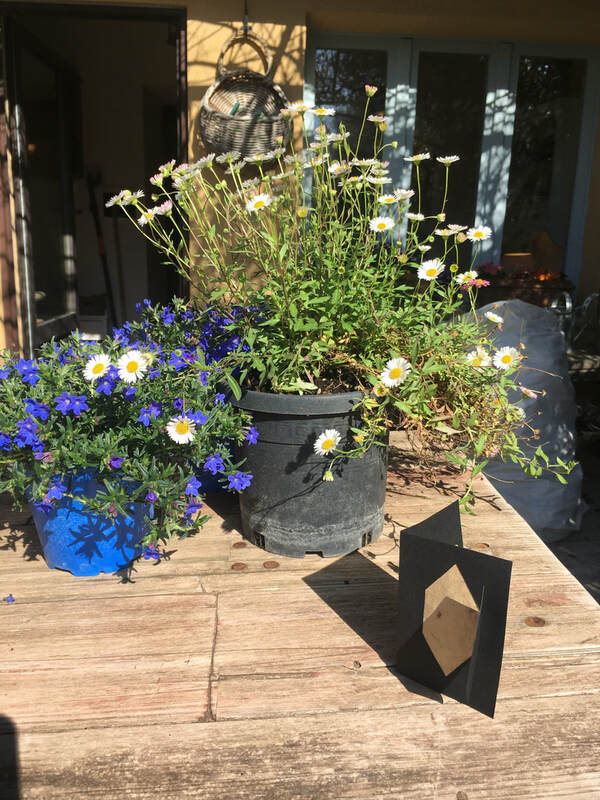 ​Here is Lydia Needle's gorgeous representation of the bee in wool, readly to fly to Swindon for the Fity Bees exhibition at the Richard Jefferies Museum. 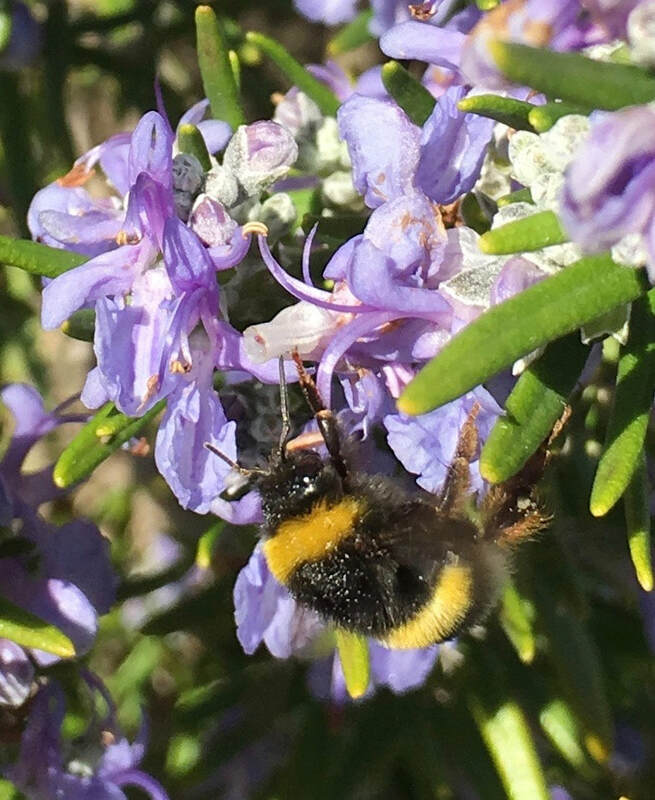 ​I have written about the queen bees' winter sleep, and about some of the things the worker bees might look out for as they are born in spring to start a new cycle of life, exploring their surroundings, foraging and responding to the inviting patterns and colours of the plants they visit. I've used materials in the colours of the bee: black, ginger and white. 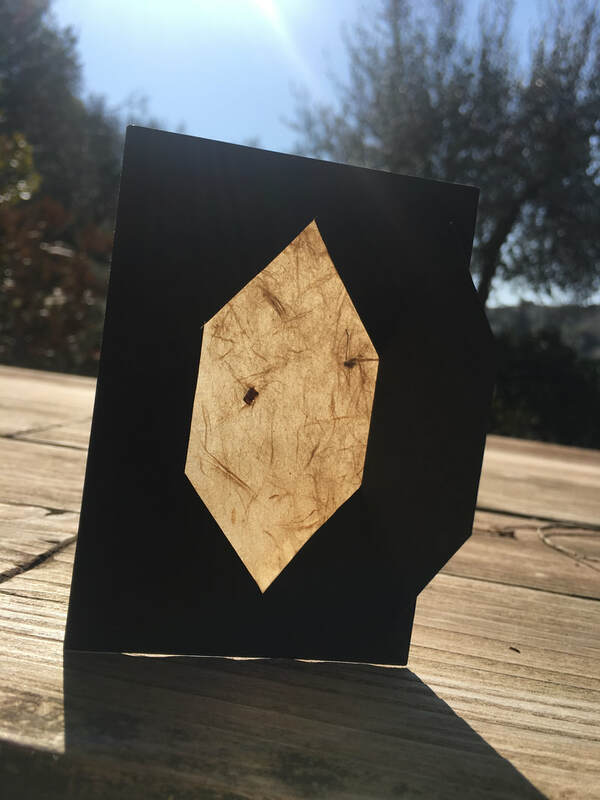 And I've experimented with hand-made translucent paper to create a sense of seeing differently. 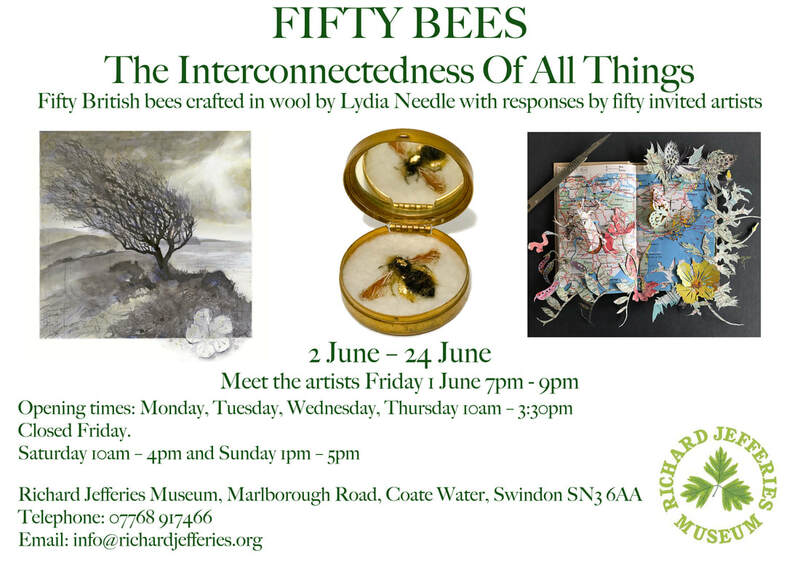 Now all i have to do is to get the finished work safely to Swindon, where the Fify Bees exhibition will be open from 2 - 24 June. It will be full of amazing bee-related artworks - do visit if you can. 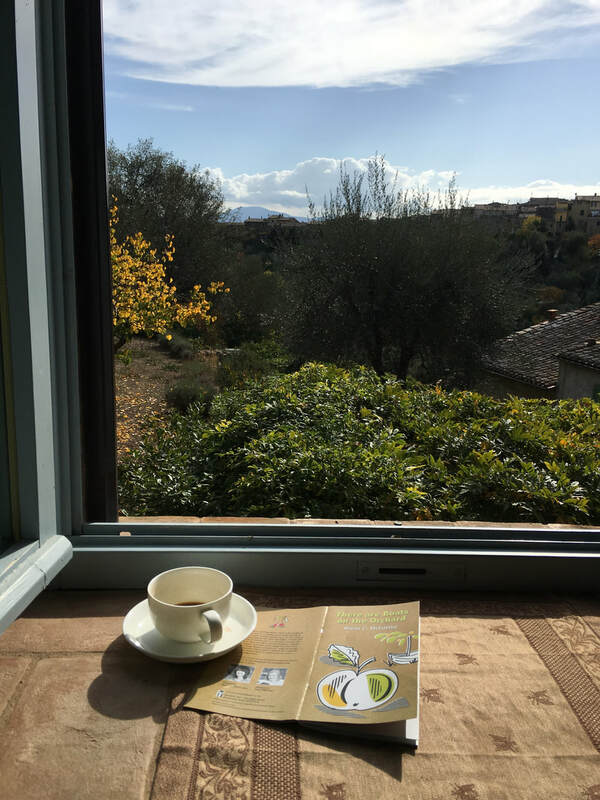 It's almost spring here in Montalcino. 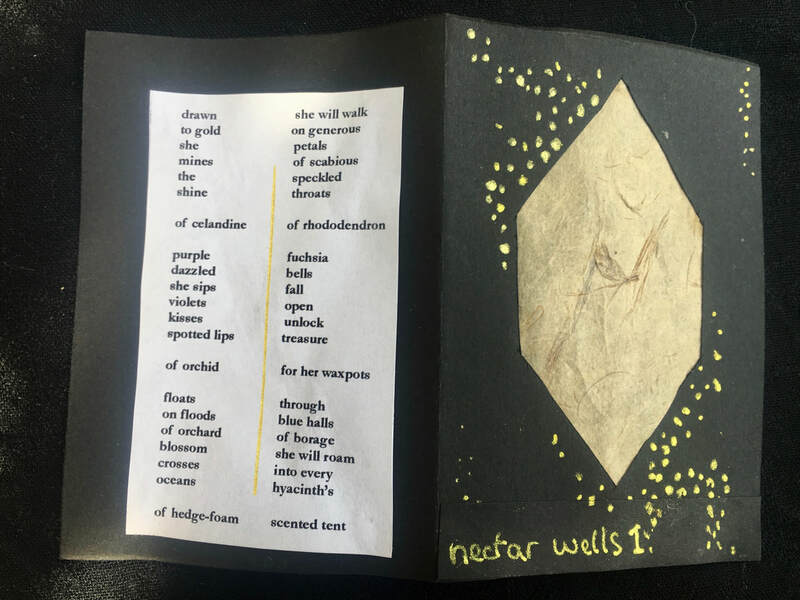 On sunny mornings I've been slowly emerging from winter torpor, starting to try out some ideas for Lydia Needle's wonderful 50 Bees exhibition at the Richard Jefferies Museum, Swindon, June 2018. I've been thinking about the tree bumblebee's compound eye, a curved structure that looks almost quilted, made out of many hexagonal parts, the ommatidia. Each one is a lens that carries information to the bee's brain. Some things we can see, they can't. Some things they see, we can't. Somewhere in the middle, there's a kind of common ground. One great thing about this project is how much more aware of bees it's making me. 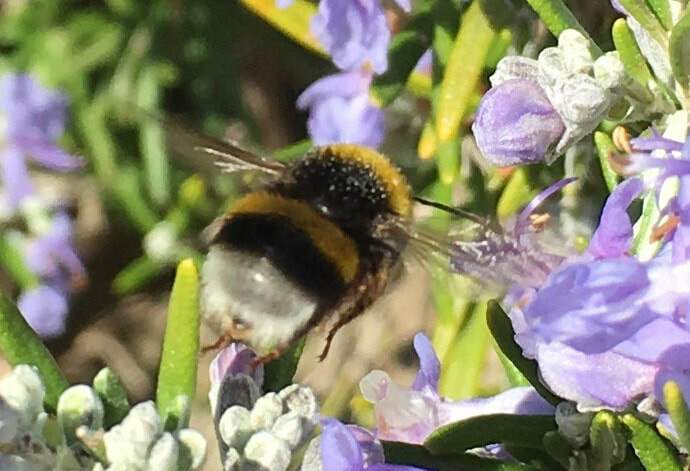 It's part of my morning happiness to notice a good number of bees congregating around the rosemary, which has never ceased flowering all through the hardest days of winter here. Even more joyful to count several different kinds of bee there. Still no Bombus Hypnorum so far though, but if I can I'll be patient. of the eyelids. Pencil of eyelashes. Juices of the eyeball. Eyelids like leaves, petals, caps, tufted hats, handkerchiefs, sleeves, gloves. and many others. Reading through this morning sent me to a place of watchful waiting, good to visit just before the turn of the year. A trip through wintery East London by train and bus to wonderful Paekakariki Press in Walthamstow has woken me up! 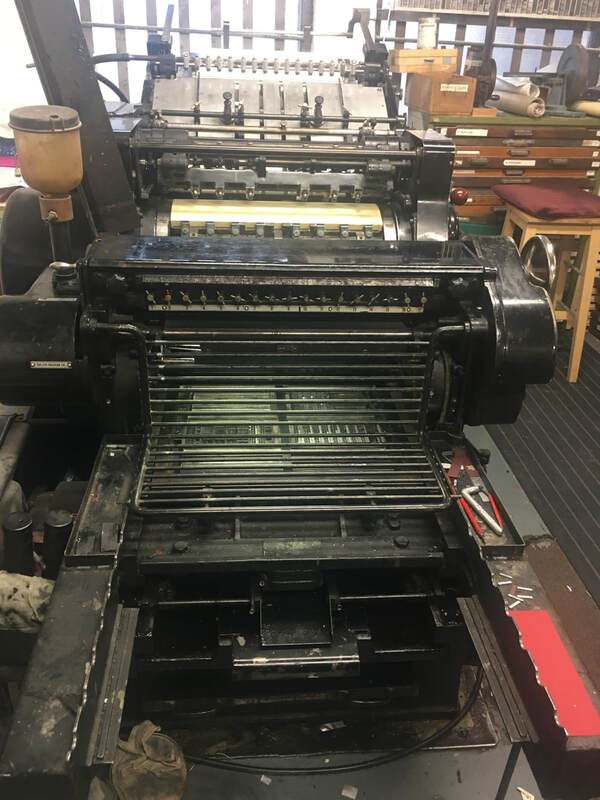 Letterpress printing, an endangered method, is alive and well at this Walthamstow workshop, where the machinery is as beautiful as the poetry books they publish there. 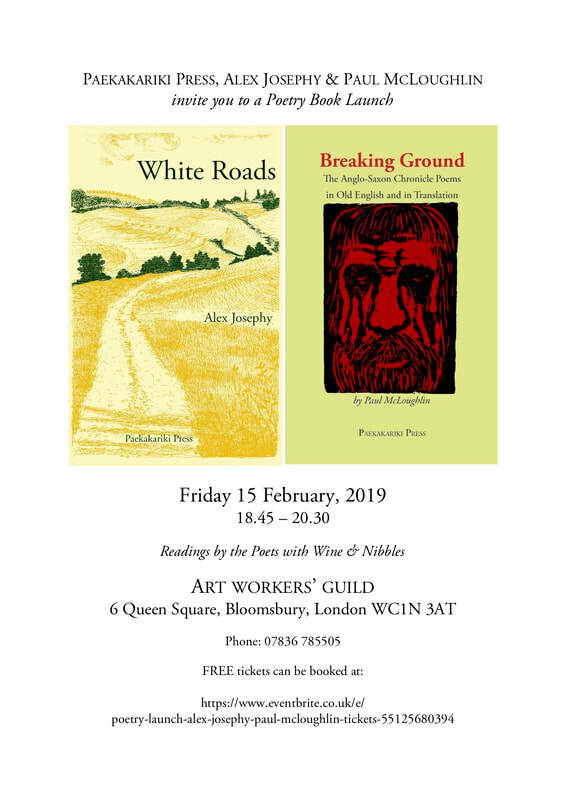 (Among others, I've been enjoying Chrissie Gittins' delightful collection 'Professor Hegel's' Daughter', and 'Patrick Bond's 'Signals on the Railway Land', poems celebrating a Sussex nature reserve. This hulking beast is the Heidelberg KS Cylinder, brought from Coventry and now lovingly restored to good working order. 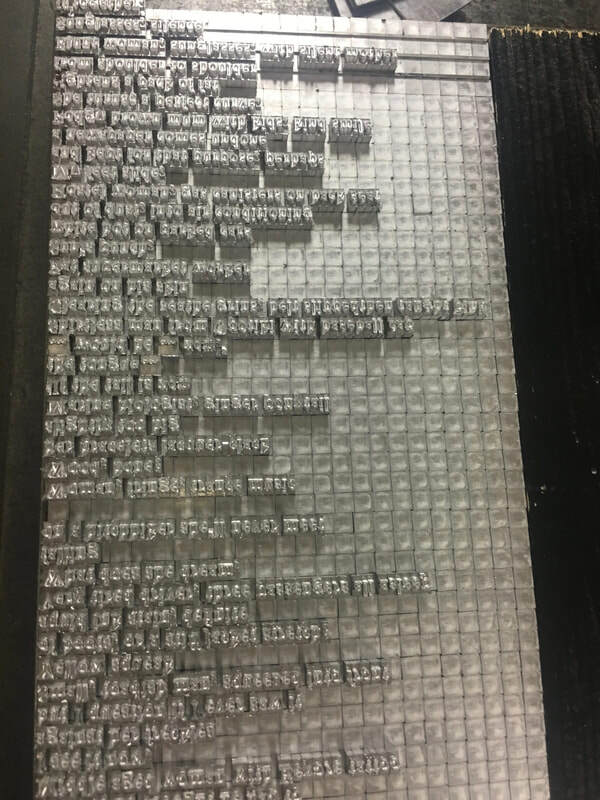 I spent an hour lost in the joys of 'The Printers Vocabulary' helpfully provided by Paekakariki: from 'Asses' (a term for compositors used by pressmen, in return for being called 'pigs' by the compositors), to the dreaded 'Balaaam box' (into which were thrown rejected manuscripts) and on to 'Xylonite' (nothing to do with the planet Xylon, it turns out) and Zincos (blocks used in producing engravings on zinc). Before I knew it, it was way past lunchtime and already getting dark. Back to hibernation then. Watch this space for my new chapbook, 'White Roads', due out with Paekakariki in 2018. 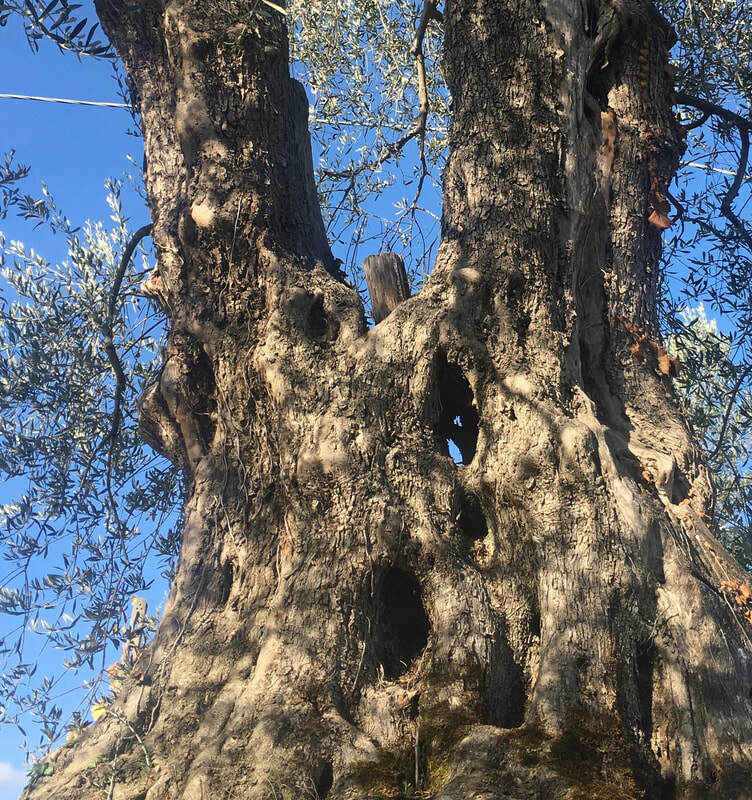 After a dry, dry summer here in Montalcino, the drought continues. Beautiful turning leaves in orchards and vineyards, but still hardly any rain. 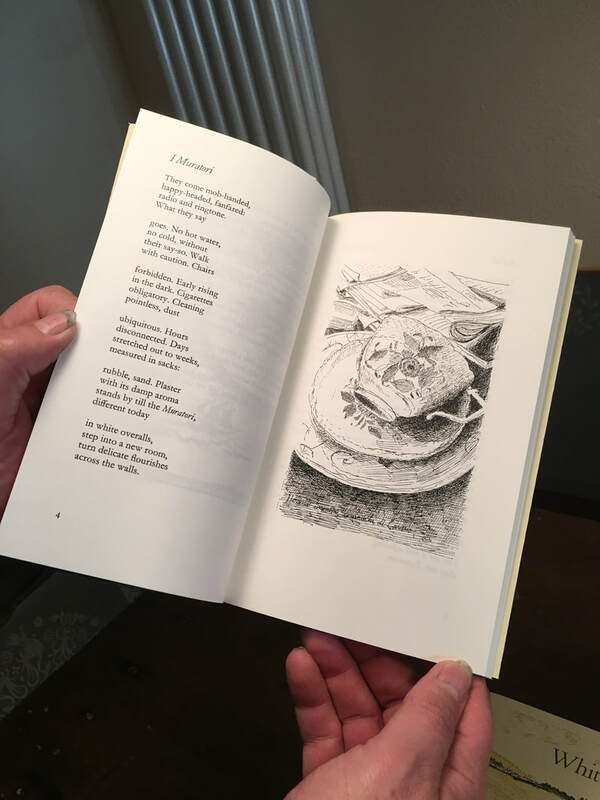 This mornng I'm at my desk, writing a review for London Grip of this lovely poetry pamphlet by Maria M McCarthy: 'There are Boats on the Orchard'. 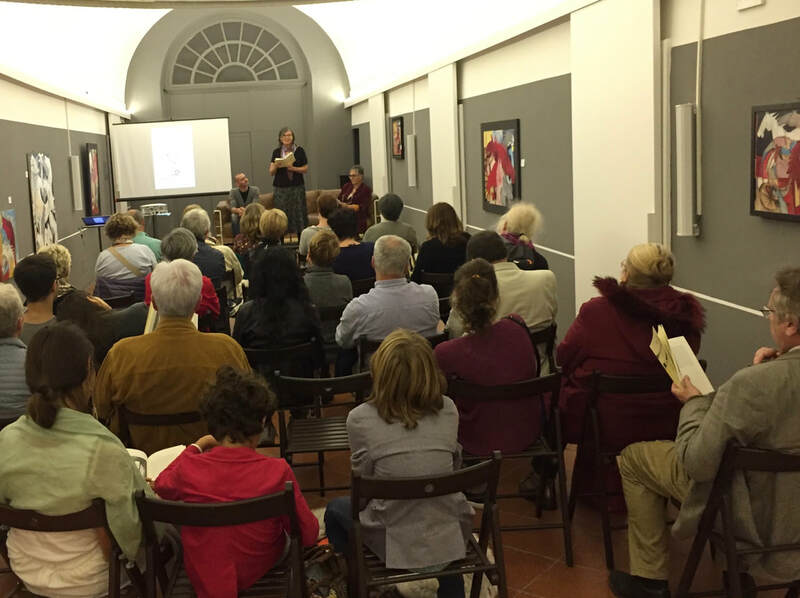 It's bringing the vanishing orchards of Kent into this Italian room, and i love it that it is also quietly promoting the work of the Kent Orchards for Everyone project to save and restore orchards in Kent and farther afield. Another small book to celebrate, with its subtle ironies and delicate line drawings by Sara Fletcher. Well worth seeking it out, I think; available at Cultured llama.